Stream-Wetland Restoration - Determining Functional Lift of Stream/Wetland Restoration Projects. Bush Photo – Todd Bush is an amazing photographer who has a huge collection of stream, landform, and other water photos from all over the world. My house is full of his stream photos. U.S. EPA – Mitigation Web Page. This page provides updates and background information regarding Clean Water Act Section 404 Compensatory Mitigation Requirements. U.S. Fish and Wildlife Service, Chesapeake Bay Field Office. Provides reports, technical publications, training information, etc. Stream Systems Technology Center. Also known as the “Stream Team.” This a great resource site with lots of guidebooks, free software, and the Stream Notes newsletter. NRCS Website. Regional Hydraulic Geometry Curves. Provides links to various regional curve web sites. NC State University, Stream Restoration Program. Check out this web page for upcoming conferences and workshops. There are also fact sheets, a design manual, and regional curves. Ohio State University – STREAMS web page. Check out the interactive web based learning modules. University of Louisville, Stream Institute. Provides information on their program and short courses. Wildland Hydrology. Provides list of Rosgen’s courses, technical resources, books, etc. National Center for Earth-Surface Dynamics. People often ask me for a reading list to learn more about how streams work. So, here is a list of my favorite stream books. Enjoy! Bunte, K., A.R. Abt. 2001. Sampling Surface and Subsurface Particle-Size Distributions in Wadable Gravel-and Cobble-Bed Streams for Analyses in Sediment Transport, Hydraulics, and Streambed Monitoring. U.S. Department of Agriculture, Forest Service, Rocky Mountain Research Station. General Technical Report RMRS-GTR-74. http://www.fs.fed.us/rm Dingman, S.L. 1994. Physical Hydrology. Prentice-Hall, Inc. Upper Saddle River, New Jersey. Leopold, L. B. 1994. A View of the River. Harvard University Press. Cambridge, Massachusetts. 298 pp. Leopold, L.B., M.G. Wolman, and J.P. Miller. 1964. Fluvial Processes in Geomorphology. W.H. Freeman and Company. San Francisco, CA. 511 pp. Rosgen, Dave. 2006. 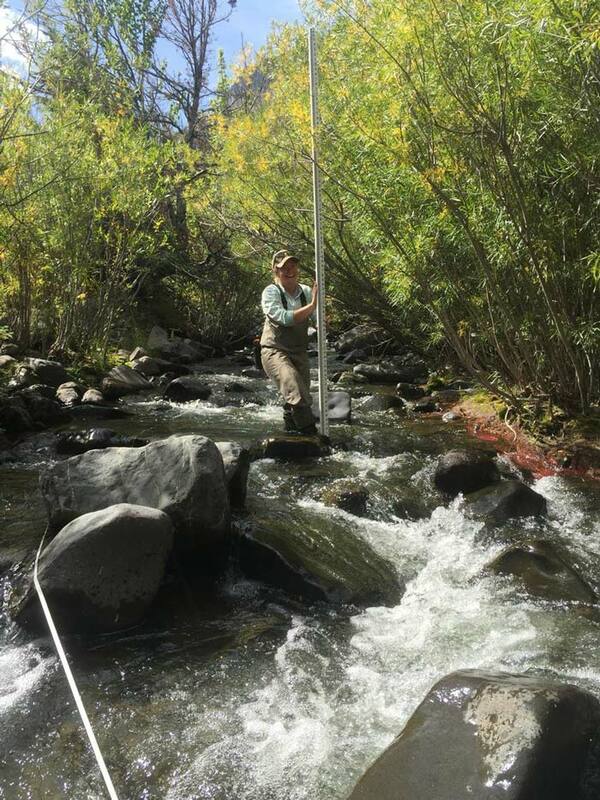 Watershed Assessment of River Stability and Sediment Supply. Wildland Hydrology. Fort Collins, CO.
Roni, P and T. Beechie. 2013. Stream and Watershed Restoration: A Guide to Restoring Riverine Processes and Habitats. John Wiley and Sons. Wohl, Ellen. 2004. Disconnected Rivers: Linking Rivers to Landscapes. Yale University. Wohl, Ellen. 2000. Mountain Rivers. American Geophysical Union. Washington, D.C.